The After-School Care Program offers supervised after-school study and activities for children on school days (2:45PM-5:30PM) and early dismissal days (11:45AM-5:30PM). Homework time is provided, and staff is available to help students with their homework. 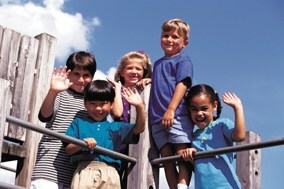 Once homework is completed, students participate in supervised activities which include arts and crafts or general play time. The After-School Program will be open during the 2018-2019 school year from August 10, 2018 to May 23, 2019 and will generally follow the school’s calendar.